The Turkish foreign minister said that Ankara may cancel the deal on the acquisition of the S-400 air defense systems if Russia does not agree to jointly produce the military equipment. The Kremlin has commented on the issue. 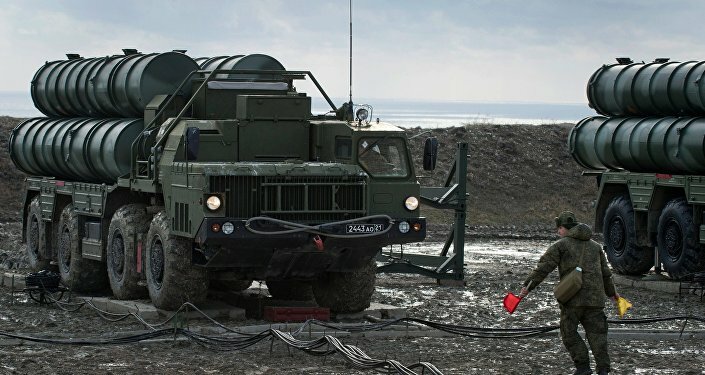 Russia and Turkey are holding expert level talks on a possible deal to transfer technology for production of Russian S-400 air defense systems, Kremlin spokesman Dmitry Peskov told reporters Monday. "I can tell you that contacts and negotiations at the expert level in the context of this deal continue," Peskov said when asked whether Russia was ready to transfer to Turkey technology to jointly manufacture S-400 systems on the country's territory. The statement comes as Turkish Foreign Minister Mevlut Cavusoglu said earlier in the day that Ankara expects that Russia and Turkey will launch joint production of S-400 missile defense systems, but if the Russian side refuses to cooperate, Turkey will have to find other partners. "We have agreed in principle on joint production in the middle- and long-term. If Russians do not agree, we will sign an agreement with another country. But we have not received any negative messages [from Moscow] regarding this issue. Putin said that the two sides could take steps to launch a joint production," Cavusoglu said in an interview with the Aksam newspaper. On September 12, Moscow and Ankara reached an agreement on the delivery of S-400 systems to Turkey. Turkish President Recep Tayyip Erdogan said that Ankara had made its first payment for the air defense systems.